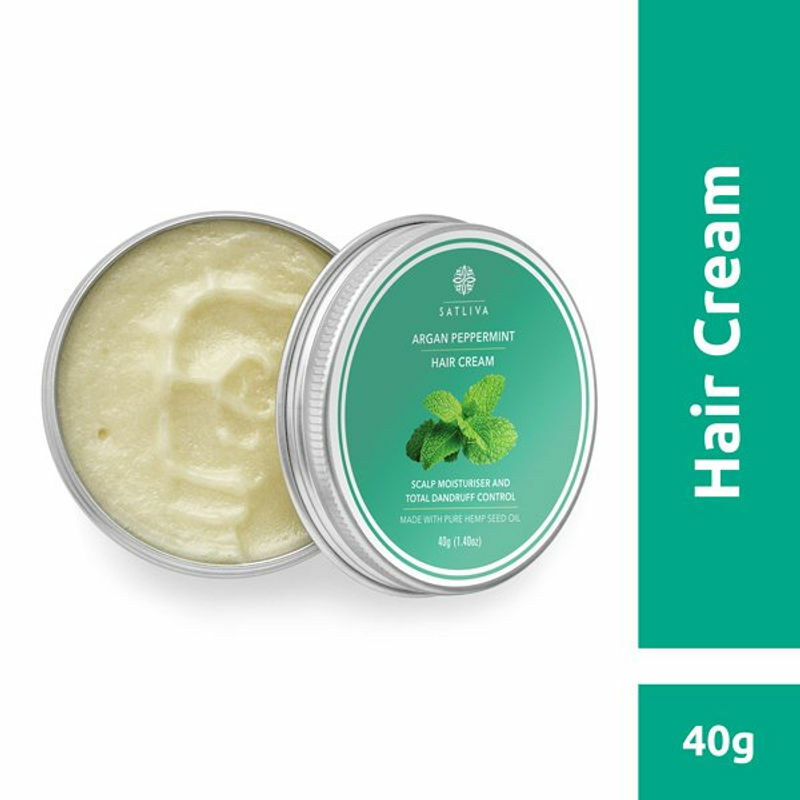 Satliva Argan Rosemary Hair Cream is a combination of the best handpicked Himalayan hemp seed oil, and essential fatty acids that deep moisturises and nourishes scalp and hair. Argan oil, also famously called liquid gold, is rich with vitamin A, C and E and antioxidants, can help boost the cell production for healthier scalp and hair. Jojoba oil is a blessing, as it is loaded with vitamins B-complex and E, zinc, copper, selenium, chromium and Iodine, which moisturises the scalp and hair. This oil is also very light, non-sticky and odourless, while peppermint essential oil, known for its cooling effects and enticing aroma, stimulates the blood flow, promotes hair growth, while making the hair stronger. 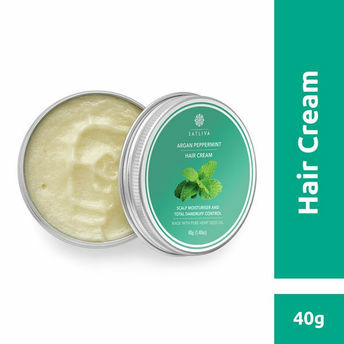 This hair cream, on application to scalp, gives you a tingly and relaxed feel. The cream is packed with nutrients, that help repair dry, damaged and coloured hair, making it look healthy, soft and shiny. Earthy fragrance with a fresh burst of peppermint.